The Home of Foam Blog offers homeowners education and expert tips to help improve the comfort and energy efficiency of their home with spray foam insulation. Trying to get to the root of comfort issues in your home can be a frustrating task. What is the Best Way to Insulate a Cantilevered Floor Overhang? Are you noticing cold drafts around your breakfast nook? Is the little overhang in your home more uncomfortable than the rest of your house? Have questions about insulating your existing home with foam? 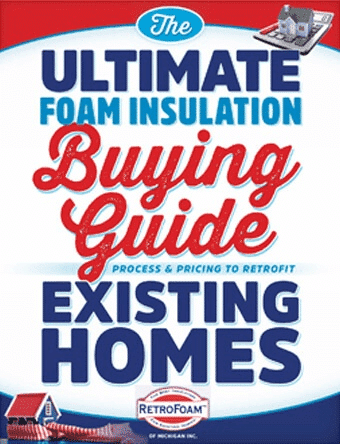 Our free educational guide compares home insulation types while answering the most frequently asked questions, including the process and pricing of foam insulation.